Real Madrid want Manchester United’s best player. The player wants to go. The club resists for a time but eventually concedes to the inevitable, selling the player for a record fee. I’m not predicting the outcome of the David de Gea situation, rather recalling Cristiano Ronaldo’s protracted exit. While surprisingly similar there are key differences between the two situations. Ronaldo is not a Madrileño for instance. His desire to play in the Bernabeu was a professional ambition. Family and the comforts of home had nothing to do with it. Which is why the Spanish club is not being as aggressive in their pursuit of the young goalkeeper as they were for their current talisman. 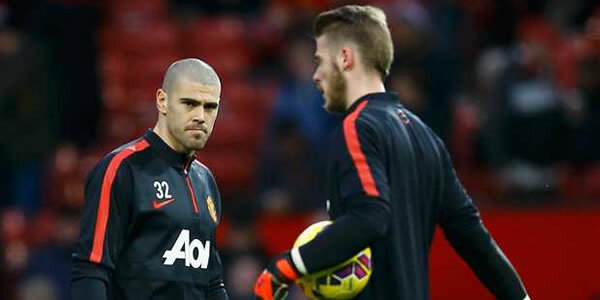 They know that so many personal issues in De Gea’s life align with a transfer to their club. As well dealing with Ed Woodward is not as daunting a prospect as coming to terms with Sir Alex Ferguson and David Gill. There is no absolutely no urgency to the move. Time is on their side. The question to be asked is why Woodward and the rest of the United brass are not learning from the previous regime’s experience? The writing is on the wall. 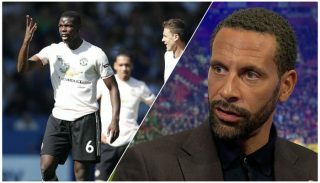 Hard line tactics such as demanding a world record fee when no official offer has even been made, attempting to negotiate a sort of hostage exchange that will see the Meringues’ new captain, Sergio Ramos, come to Old Trafford, and benching the player for the season opener because his head has been turned are not going to work. David de Gea is not the club’s new Edwin van der Sar. He is another Ronaldo, another Beckham, a polite, reserved, and taller Carlos Tevez. Old Trafford is just a pause in the journey. The journey that takes him to Madrid. Given United’s current situation, prolonging that pause is understandably the preferred option. They are a winnable tie away from returning to the group stages of the Champions League. With Sergio Romero in goal they would likely still qualify but with de Gea between the sticks the quarterfinals are not an unreasonable target. Some are lamenting the club’s intransigence in the face of La Marca’s claim that Real was prepared to pay £25 million + £5 million in future bonuses for the netminder in June. “The club will regret losing that money when de Gea leaves on the free at season’s end,” they claim. 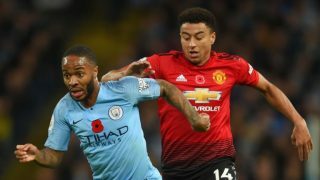 If United can make the quarters of the Champions League, however, the prize money and television revenue, the latter of which is proportionate to market size (the Premier league being the largest and most lucrative market) will likely see the club make a net gain over any sale. If that is the plan, though, it will backfire if the club alienates de Gea. Sir Alex Ferguson sat down with Ronaldo in 2008 and said, “Look lad, I know you want to go and I understand it’s your dream. We need you for one more season, though. 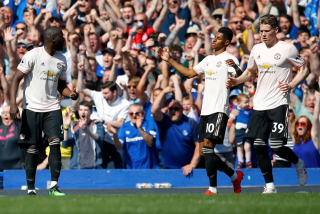 Give us everything you’ve got for one last campaign and we won’t stand in your way.” Louis van Gaal seems unable to make that sort of personal appeal to his players. His management style is more autocratic. 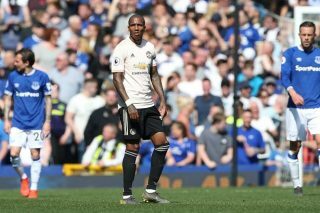 His cold dismissal of Robin van Persie, as though he had been of no more use than Angel di Maria, demonstrates the distance he keeps from his players. De Gea is not blind. What reason does he have to be loyal to such a manager? This is an instance where Ryan Giggs position with the club can be of benefit. With van Gaal tacitly looking the other way perhaps he could step in to make that personal appeal and convince the Spaniard to commit to one more season in Manchester. The other option is to accommodate the player. Sell him to Madrid for a reasonable fee. Somewhere north of £22 million seems appropriate. And drop the pursuit of Sergio Ramos. If de Gea leaves, United will need another capable #1. There is an excellent and likely eager option sitting on Rafael Benitez’s bench, an option that will have to slide over to make room for Kiko Cassillas when de Gea arrives. Keylor Navas played exceptionally well for both Costa Rica and Levante in 2014. He has been overlooked in Madrid. If he is made part of the deal, he will surely be chomping at the bit to show his new club that he deserves to be their first option. The time to come to terms with de Gea or make this deal is now, however, not a month into the season when the window is closing. That will give Navas, or another new keeper, more time to acclimate to England before the campaign truly heats up. In acquiring Memphis Depay, United struck while the iron was hot. Why do they now let de Gea’s heart turn cold?